A peptide can be used as a functional building block to construct artificial systems when it has sufficient transplantability and functional independence in terms of its assigned function. Recent advances in in vitro evolution systems have been increasing the list of peptides that specifically bind to certain targets, such as proteins and cells. By properly displaying these peptides on solid surfaces, we can endow the inorganic materials with various biological functions, which will contribute to the development of diagnosis and therapeutic medical devices. 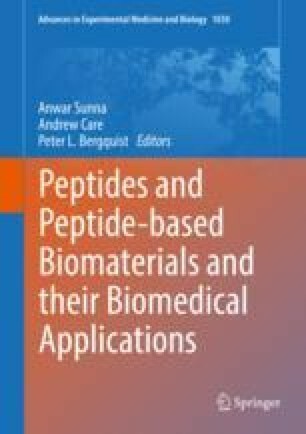 Here, the methods for the peptide-based surface functionalization are reviewed by focusing on sources of peptides as well as methods of immobilization.